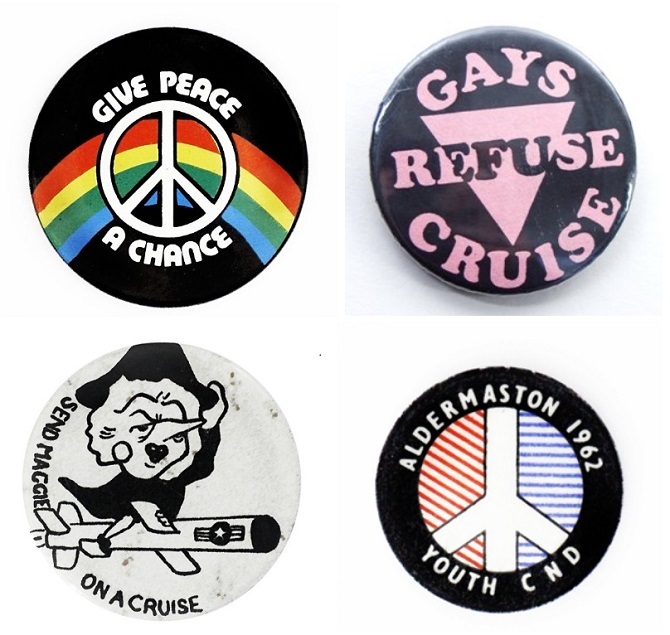 The launch of a new LSE Library exhibition “Give Peace a Chance” shines a spotlight on some of the key archive collections held at LSE Library that document the lives and activities of peace campaigners and organisations in the 20th century. 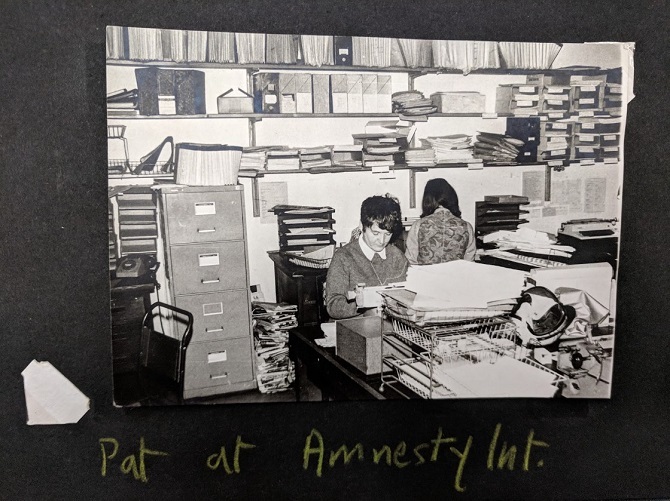 Curator Daniel Payne explores the archives of the incredible peace activist and civil rights campaigner Pat Arrowsmith. Poet, artist, novelist, pacifist, electoral candidate, gay rights and anti-nuclear campaigner, Pat Arrowsmith has lead an extraordinary life. She has served eleven prisons sentences, all related to her campaigning activities, and co-founded the Campaign for Nuclear Disarmament (CND). Her archives have recently been donated to LSE Library and offer a rich and fascinating resource. Pat was born in 1930 and first became aware of war during her school days during the outbreak of World War II. She kept diaries throughout this time and later in life, all of which are available to read in the archives. They are addictive reading, and show the intelligent, rebellious, witty thoughts of a relentless campaigner. She was frequently getting into trouble at school and was expelled at the age of 14. At university she became involved in peace movements, joining the Crusade for World Government. 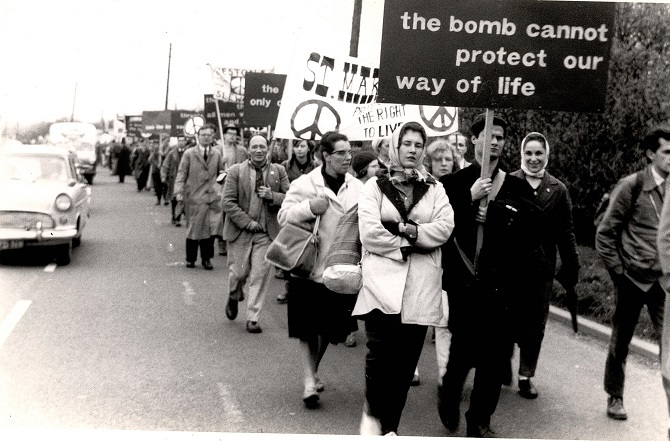 In 1957 Pat joined the Direct Action Committee Against Nuclear War, and became the group’s Organising Secretary for the Aldermaston March of 1958, a series of marches from London to Aldermaston, where an Atomic Weapons Research Establishment was based. Log books of the marches along with leaflets, planning documents and photographs can be found in the archives at LSE Library. These marches grew in size, and by the 1960s were attracting tens of thousands of people, with the route eventually switching from Aldermaston to London to end the march at the heart of political power. Pat co-founded the Campaign for Nuclear Disarmament, which to this day continues to campaign by non-violent means for British nuclear disarmament and a global nuclear weapons ban. 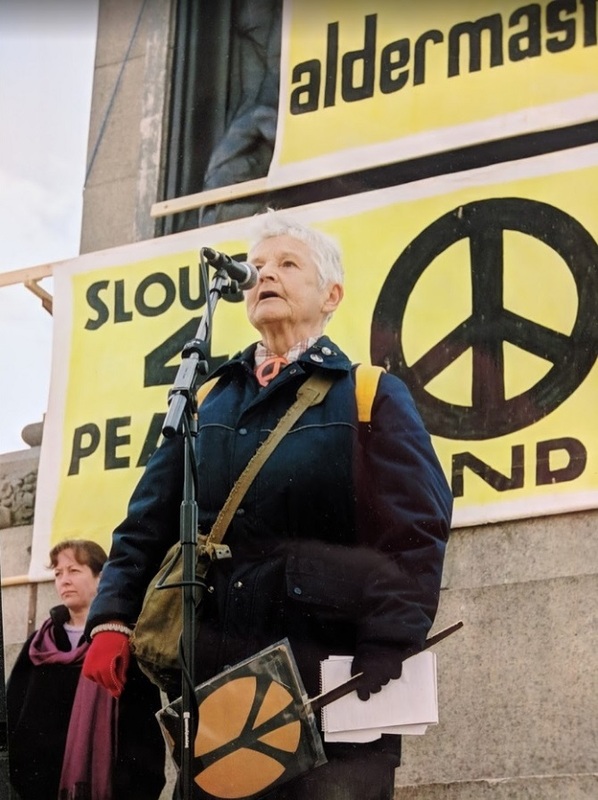 Nearly 50 years later from the first march that Pat organised, here she is at another Aldermaston March, speaking at a rally in Trafalgar Square in 2004. As well as co-founding the Campaigning for Nuclear Disarmament, Pat campaigned on a wide variety of related issues. She was a prominent anti-Vietnam war campaigner, and was imprisoned in Bangkok for taking part in a demonstration against a US air base there. She has also gone on hunger strike multiple topics, and was subject to a discussion in the House of Commons about her treatment in prison during a hunger strike. 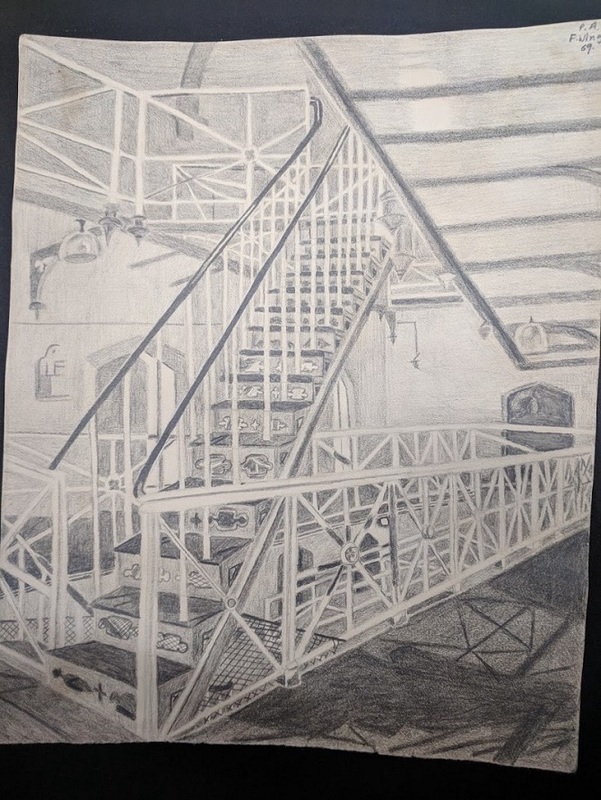 Pat wrote novels in prison, produced art and kept diaries of her time there, all to be found in the archives. She was declared by Amnesty International, Britain’s first “Prisoner of Conscience” and later worked for the organisation. Pat also campaigned for gay rights. She was the first lesbian to come out in Who’s Who in 1977. Ineligible to claim her father’s inheritance, she married an anarchist poet for a day in order to qualify. She then donated some of the money to Sappho and Gay Pride Week 1979. She stood as an Independent Socialist against James Callaghan in the 1979 General Election, where she famously heckled him during his speech. She took over the stage and called for the removal of troops from Ireland. 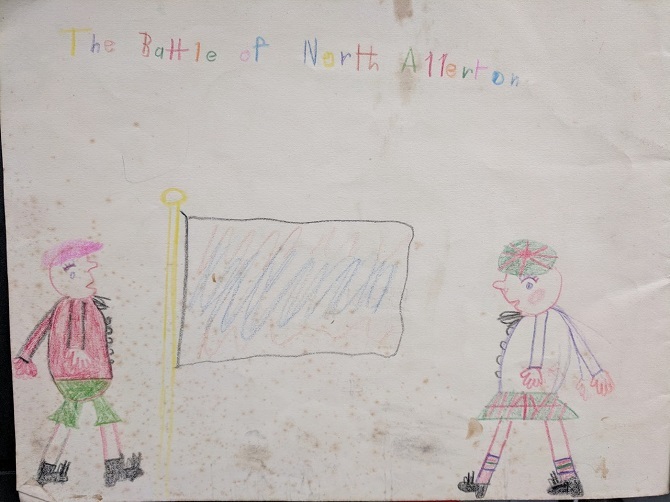 A few years earlier she had been arrested for distributing leaflets called “Some information for British soldiers” which gave advice on how to avoid serving in Northern Ireland. A letter she wrote refusing to come to court is on display in the current Library exhibition. A prolific artist, poet and novelist, when asked to describe herself Pat came up with “lazy”, and when forced to give a few more words, she said “Elderly, short, fat, grey haired”. When asked how she would like to remembered, Pat said: As a persistent, but not humourless, peace activist. Contributed by Daniel Payne(Curator for Politics and International Relations, LSE Library). This post was adapted from a previous post on Pat Arrowsmith. 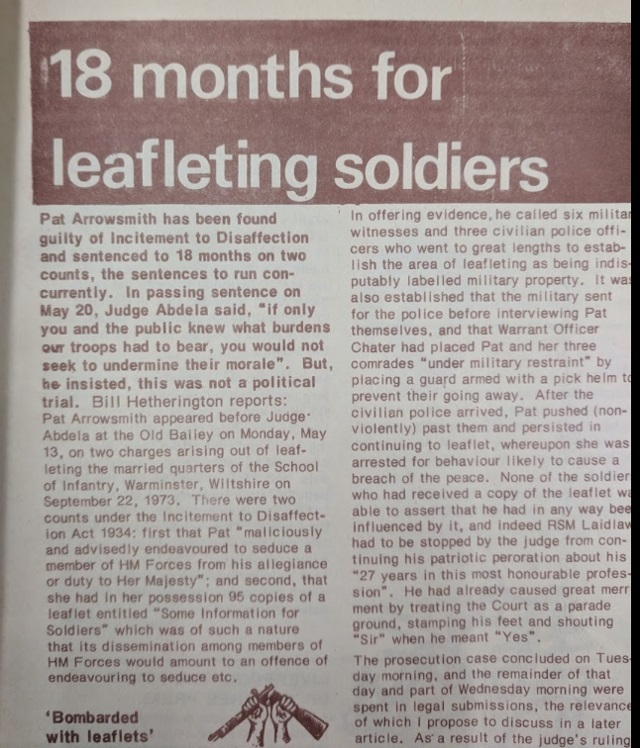 Pat Arrowsmith’s archives are held at LSE Library and are available for all to access (get in touch with the Library to find out more). They are part of a range of collections at LSE Library on peace activism. 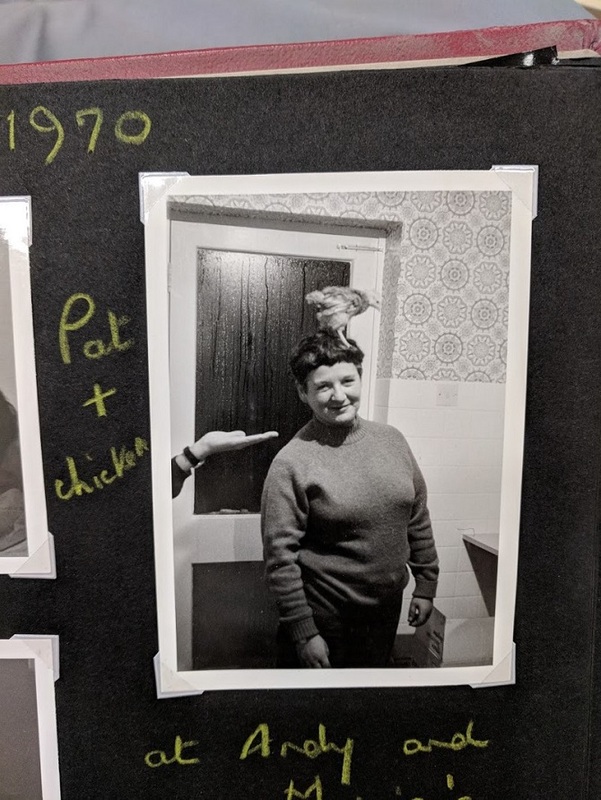 A selection of items from Pat’s archives are currently on display at LSE Library’s exhibition running until Easter 2019 “Give Peace a Chance: from the League of Nations to Greenham Common”.